Myth 1: Modern running shoes reduce injuries. Reality: Despite all the advances in technology, running injuries have not gone down since modern running shoes were invented—some have even gone up. This is likely because several prevailing myths that are not based in science have prevailed in running shoe design & marketing. No traditional running shoe has ever been proven to reduce injury. Reality: Peer reviewed research has shown that not only does cushioning not protect joints, but when more cushioning is used, especially in the heel of the shoe, it actually magnifies forces higher up the kinetic chain (knees, hips, back, etc.). In fact, shoes with elevated, cushy heels “provoke a sharp reduction in (the body’s natural) shock-moderating behaviour, thus increasing impact force.” The more the cushioning, the harder the body instinctively hits the ground. Solution: Foot-shaped, Zero Drop shoes allow the body to land in a way it can naturally absorb impact, bending at the knee and splaying the toes to allow the body to naturally and near perfectly absorb impact. There is enough cushioning to protect the feet, but no excessive, raised heel cushioning that causes the body to land unnaturally and impact harder. Note: Cushioning has been shown to work at the point of impact, i.e. shoe cushioning will protect the foot to some degree, but not the knees. This is similar to how boxing gloves protect the hands, but shoulders are the #1 injury among boxers. Reality: The heavy, raised heel in running shoes has changed the way most people run significantly for the worse, likely leading to injury rates referenced above. 50 years ago, before modern running shoes with heavy, elevated heels were invented, it was rare to see any runner over-striding or landing harshly on their heel out in front of their body. Now, around 80% of runners over-stride, which Harvard research in 20092 linked to an average of 3 to 5 times more initial impact (Vertical Loading Rate) in runners, despite wearing the best selling, well cushioned running shoes on the market. Solution: Zero Drop Shoes remove the offending heavy, elevated heel and are level and weight balanced from heel to forefoot, and therefore allow the body to land naturally without over-striding. A 2016 study by the University of Northern Iowa shows this to be the case compared to some of the best selling running shoes on the market. Reality: In America, 73% of the population reports foot pain annually! In populations where people go barefoot or wear primitive footwear that don’t have elevated heels or closed toes, the incidence of foot problems is 3%. These populations experience none of our common chronic foot conditions such as bunions, neuromas, plantar fasciosis, hammer toes, etc. Nearly all foot pain/problems are caused by shoes manipulating our feet out of their natural position by raising the heels, pushing up under the arch, and crowding the toes together. Solution: Foot-shaped, Zero Drop shoes allow the foot to assume its natural, barefoot position while providing some cushioning to protect the foot from hard, flat, modern surfaces. Reality: Most running injuries are likely due to muscle imbalances created by repetitive motion & running unnaturally (often caused by elevated heel shoes). Running injuries have a much higher incidence on soft surfaces like tracks & astroturf than they do on natural surfaces that make every step different. These natural surfaces could be rock hard, but they encourage more natural impact & muscle distribution because every step is different and they force better, natural running technique. • Shoes with no drop…are the best choice. • Neutral: The shoe does not contain…extra components (that) interfere with normal foot motion. • Be sure the shoe has a wide toe box. You should be able to wiggle your toes easily. • Narrow toe boxes do not permit the normal splay, or spread of the foot bones during running. This will prevent your feet from being able to safely distribute the forces during the loading phase of gait. Your shoes can tell you a lot…including whether you are landing harshly, and which type of shoe might be best for you. Most people don’t know it, but the wear pattern on a well-used pair of running shoes can tell a pretty good story. That story may include the fact that you are over-striding and landing with more impact than you need to. It may also tell you that you should work on strengthening your feet, or that you have a leg length discrepancy. Often, runners go get a gait analysis at their local running store, not knowing that bringing a used pair of shoes can likely tell the staff a whole lot more about what shoes will be best for you than watching or filming you run ever could. In fact, gait analysis for shoe selection can be misleading. About 50% of all running shoes sold are so-called “Stability” shoes. However, only about 1 in 9 running shoe wear patterns show that a runner *might* need of the so-called stability. The first step to reading the wear pattern on your shoes is to get a well-used pair of running shoes that has only been used for running. If they have been used for too much walking, this will throw off the wear pattern and make it hard to truly get a good read on what’s going on with your run. Now that you’ve got a suitable pair of shoes to read, it’s time to flip them over and look at the wear pattern on the rubber outsole. In my opinion, the most important thing you should look at is the heel area of each shoe. If your shoes show significant wear at the outside back corner, you are likely over-striding and landing with a lot more impact. A study by Harvard scientists found that over-striding, or excessive heel-striking produced three to five times more impact than runners who landed closer to underneath their bodies and didn’t land with a harsh heel-strike. This type of landing also causes excess torque in the joints, which many scientists believe is actually even more of a cause of running injuries. If your shoes show this type of wear, I recommend a few simple tips such as not letting the elbows swing forward past the hips and taking quicker steps. Most runners have never had a running lesson, so finding a coach or running store nearby that teaches a class could be very beneficial. For more on improving your form and optimizing your landing, check out the tips here. outside does NOT mean you are over-pronating. It just means that you are normal. Shoes are wider than human heels, and hips are wider than where your shoes hit the ground. These two things make it so virtually every runner lands on the outside of their shoes. ot in the middle to slightly inside part of the shoe. The running shoe world calls this “neutral.” If this is you, avoid “stability” shoes and shoes with any kind of dark material under the arch or shoes with any extra arch support or “control” features. If wear is more towards the outside, you aren’t pronating or absorbing shock very well, and you are a “supinator”, which is very rare…so much so that major running shoe companies don’t make supination specific shoes. If your wear is on the inside part of the forefoot, then you are likely an “over-pronator” meaning that your feet collapse more than usal, causing the leg to do the same and likely causing excess joint torque. For some, this is a bone deformity, collapsed arch, or genetic inheritance. For others, their feet are simply weak from a lifetime of wearing so-called “supportive” shoes and/or orthotics that move the foot out of its natural position and weaken the foot muscles. Most people that over-pronate will benefit from a foot strengthening regimen that could include standing on one foot, pulling a towel in with the toes, and/or running or walking short distances barefoot on soft surfaces. A device called “Correct Toes” can also be a great benefit for strengthening the foot and helping to re-align it to its natural position. If your wear pattern shows that you are an over-pronator, you may be among the 1 in 9 people who may benefit from wearing a stability shoe until your feet re-align and get stronger. As long as your wear pattern continues to show wear on the inside of the forefoot, it may be best to stick with a stability shoe. However, it is important to note that outside of a weak link to shin splints, excess pronation has never been significantly tied to running injuries. Additionally, traditional stability shoes with dual density or medial (arch) posting have also never been shown to actually reduce pronation, but rather only make it appear so. Only varus wedges (a wedge that is higher on the inside of the foot than the outside) have been shown to truly reduce excess pronation. The question is whether we should be even be trying to reduce excessive pronation. Also keep in mind that 83% of runners are less injured in a neutral shoe that doesn’t mess with what the foot and body naturally wants to do. About 1 in 6 runners is less likely to be injured while wearing a stability shoe. However, only about half of those runners have excessive pronation—the other half have neutral biomechanics. One more thing to look for is irregularities between the left and right shoe. This can give you clues in to any imbalances you might have or injuries that occur due to this or favoring one leg over another. One way to partially or even completely nullify unwanted stride patterns on a shoe is to run on uneven ground, such as trails, grass, or even cobblestones. If you run off road enough, the irregular surface can improve your technique and help correct any imbalances you might have. Reading your shoe is one of the most effective ways to know what is going on with your body, and is in many ways more reliable than photos, video, or other ways of seeing the way you run. Most importantly, know that according to studies done on running shoes and injuries, runners will be least injured in the shoe that they feel the most comfortable, relaxed, and free in *while running*—regardless of category. So go in to your local running store and try on a half dozen pairs of different types of shoes and buy the one that feels the most comfortable and like it’s not there—even if you have a neutral wear pattern and that shoe happens to be a stability shoe! Below are excerpts from one of my favorite articles of all time, by Steve Magness of Science of Running. He details how running shoe recommendations such as neutral, stability, etc. are not based on science. He also discusses how our understanding of things like cushioning and pronation work are also distorted by propaganda from shoe companies. When I first read this while managing my running store, this rocked my world, and I decided to use the information to help my customers, rather than be afraid of it because it changed our business model and approach. Our bodies are smarter and more adaptive than we give them credit for. This is a must read for every runner in my opinion! The running shoe model needs to be fixed. Pronation, Motion Control, Cushioning, and Stability shoes? Get rid of them all. It’s not just barefoot running and minimalism versus running shoes, the either/or situation many portray it to be. It’s much deeper than that. It’s not even that running shoe companies are evil and out to make a profit. Shoe companies may be accomplishing the goals they set out for, but maybe the goals their aiming for are not what need to be done. The paradigm that running shoes are built upon is the problem. Running shoes are built upon two central premises, impact forces and pronation. Their goals are simple, limit impact forces and prevent overprontation. This has led to a classification system based on cushioning, stability, and motion control. The problem is that this system may not have any ground to stand on. Have we been focused on the wrong things for 40+years? I’ll start with the customary statistic of 33-56% of runners get injured every year (Bruggerman, 2007). That is kind of mind blowing when you think about it. Since there are a ton of injuries going on, let’s look at what shoes are supposed to do. As said earlier, shoes are built upon the premise that impact forces and pronation are what cause injuries. Pronation, in particular has been constructed as the bane of all runners. We have become inundated with limiting pronation via motion control shoes. The central idea behind pronation is that overpronating causes rotation of the lower leg (i.e. ankle,tibia, knee), putting stress on the joints and therefore leading to injuries. Running shoes are therefore designed to limit this pronation. Essentially, running shoes are developed and designed to put the body in “proper” alignment. But do we really need proper alignment? This paradigm on pronation relies on two main things: (1) Over-pronation causes injuries and (2) Running shoes can alter pronation. Looking at the first premise, we can see several studies that do not show a link between pronation and injuries. In an epidemiological study by Wen et al. (1997), he found that lower extremitly alignment was not a major risk factor for marathon runners. In another study by Wen et al. (1998), this time a prospective study, he concluded that “Minor variations in lower extremity alignment do not appear conclusively to be major risk factors for overuse injuries in runners.” Other studies have reached similar conclusions. One by Nigg et al. (2000) showed that foot and ankle movement did not predict injuries in a large group of runners. Looking at the second premise, do shoes even modify pronation? Motion control shoes are designed to decrease pronation through a variety of mechanisms. Most choose to insert a medial post or a similar device. In a study by Stacoff (2001), they tested several motion control shoe devices and found that they did not alter pronation and did not change the kinematics of the Tibia or Calcaneus bones either. Similarly, another study by Butler (2007) found that motion control shoes showed no difference in peak pronation when compared to cushioning shoes. Lastly, Dixon (2007) found similar results showing that motion control shoes did not reduce peak eversion (pronation) and didn’t change the concentration of pressure. This is sort of a double whammy on motion control shoes. If excessive pronation does not cause injuries to the degree that everyone thinks, and if motion control shoes don’t even alter pronation, what’s the point of a motion control shoe? Impact forces are the other major scoundrel of running injuries. The thinking goes like this, the greater the impact force on the lower the leg, the greater stress the foot/leg takes, which could potentially lead to injuries. To combat this fear, running shoes, particular cushioning ones, are to the rescue. Let’s take a look. The first question is, do cushioning shoes do their job? Wegener (2008) tested out the Asics Gel-Nimbus and the Brooks Glycerin to see if they reduced plantar pressure. They found that the shoes did their job!….But where it reduced pressure varied highly—Meaning that pressure reduction varied between forefoot/rearfoot/etc. This led to the interesting conclusion that there should be a shift in prescribing shoes to one based on where plantar pressure is highest for that individual person. It should be noted that this reduction in pressure was based on a comparison to another shoe, a tennis shoe. I’m not sure that this is a good control. Basically, this study tells us that cushioned running shoes decrease peak pressure when compared to a Tennis shoe. In a review on the subject, Nigg (2000) found that both external and internal impact force peaks were not or barely influenced by the running shoes midsole. This means that the cushioning type does not change impact forces much, if at all. But how can this be? I mean it’s common sense if you jumped on concrete vs. jumped on a shoe foam like surface, the shoe surface is softer right? We’ll come back to this question in a minute. Back to the question I asked earlier: How can impact forces not change based on shoe sole softness and why isn’t running on hard surfaces lead to more injuries? The problem is, once again, we underestimate the human body! It’s an amazing thing, and we never give it the credit it deserves. The body adapts to the surface that it’s going to strike, if you give it a chance. The body adapts to both shoe and surface adjusting impact forces via changes joint stiffness, the way the foot strikes, and a concept called muscle tuning. An example of this can be seen with barefoot running, the diminished proprioception (sensory feedback) of wearing a shoe negates the cushioning of the shoe. Studies using minimal shoes/barefoot have shown that the body seems to adapt the impact forces/landing based on feedback and feedforward data. When running or landing from a jump, the body takes in all the sensory info, plus prior experiences, and adjusts to protect itself/land optimally. As mentioned above, it does this through a variety of mechanisms. Thus, you stick some cushioned running shoe on the bottom of your foot and the body goes “Oh, we’re okay, we don’t need to worry about impact as much, we’ve got this soft piece…on our foot. One concept that needs to be further discussed is muscle tuning. It’s a concept recently proposed by Nigg et al. in 2000. He sees impact force as a signal or a source of feedback, as I stated earlier. The body then uses this information and adjusts accordingly to minimize soft tissue vibration and/or bone vibration. His contention is that impact force is not the problem, but rather the signal. Muscle tuning is essentially controlling these vibrations via a variety of methods. One potential mechanism is pre-activation. Pre-activation is activation of the muscles prior to impact. In this case it serves as a way of muscle tuning to prepare for impact and in addition can alter muscle stiffness, which is another way to prepare for impact. Pre-activation has been established with multiple EMG studies. Shoes not only impact this, but surface type does too. As mentioned previously, the change in running surface did not impact injury rates. Why? Probably because the body adapts to running surface. In an interesting study measuring muscle activity, O’Flynn(1996) found that pre-activation changed based on surface. To prepare for impact, and presumably to minimize muscle/bone vibration, when running on concrete pre-activation was very high, when running on a soft track, not so much. In conclusion on the cushioning concept. Well, what are we trying to cushion? Heel impact forces have not been shown to relate to injuries, in fact in one study low impact runners had a 30% injury rate compared to a 20% injury rate in high impact runners. Shoe midsoles do not change, or marginally change impact forces anyway. So, not only may cushioning not be the answer, the shoes might not even be doing their job. But what about those shoe cushioning studies showing improved cushioning with their new midsole?! Well, the majority of that testing is done by using a machine to simulate the impact forces that you experience during running. That means, yes it may cushion an impact more, but it doesn’t take into account the role of the body adjusting impact based on feedback. The reason cushioning doesn’t work? Because the body adapts based on feedback and feedforward information. These results prompted one notable researcher(Nigg,2000) to call for the reconsideration of the cushioning paradigm for running shoes. Quickly, this topic could not be complete without a brief mention of barefoot running. An interesting thing to note is that the initial peak impact force is absent in barefoot running when compared to running with shoes. What this means is that, the impact forces look like (A) for (raised heel) shoes and (B) for barefoot. That initial little blip in A is the initial impact force. There is a hypothesis that this initial impact force is related to injuries. A recent study by Squadrone et al. (2009) compared running shoes, barefoot running, and running in Vibram Five Fingers. They demonstrated reduced impact forces, shorter ground contact and stride length, but increased stride frequency while running barefoot (and in Vibrams) as compared to running with shoes. This is not unexpected, but shows that running shoes do in fact alter our normal strides. An interesting point is the reduction in stride length but increase in stride frequency. Shoes tend to promote this longer stride at a consequence of ground contact times and frequency. This happens because of changes in feedback signaling, increased likelihood to land on heel stretched out, increased weight, all of which lead to longer times on the ground. It’s interesting to note that elite runners all have short ground contacts and high frequencies (as demonstrated by the often quoted Daniels study of 180 strides per minute). The one thing that non-barefoot/heel strike proponents use to dismiss midfoot striking/barefoot running is the Achilles tendon. They say, correctly, that the load on the Achilles is higher in midfoot striking runners. The Achilles is meant to take a large load. The problem is we’ve weakened the Achilles through years of wearing shoes with their elevated heels. Essentially, we’ve created the Achilles problem with the shoes meant to prevent it. The Achilles is designed to operate in a rubber band like fashion. . During impact such as the braking or contact phase of running, the achilles tendon stores energy and then subsequent releases that energy via recoil during the take off phase of running. The Achilles, can store and return approximately 35% of its kinetic energy (Ker, 1987). Without this elastic storage and return, the oxygen uptake required would be 30-40% higher! So, in terms of performance why are we trying to minimize the tendonous contribution? It’s like giving away free energy. Running shoes do not utilize the elastic storage and return as well as barefoot or minimal shoes. More energy is lost with shoes than with barefoot running (Alexander and Bennett, 1989). In addition, in some models of shoes, the arch is not allowed to function like a spring. The arch of the foot can store around 17% of kinetic energy (Ker, 1987). Given these results, its not surprising that running barefoot when compared to running with shoes is more efficient. Several studies have shown a decreased VO2 at the same pace with barefoot running, even when weight is taken into account. This should be no surprise as I mentioned above, without elastic recoil VO2 requirement would be 30-40% higher. Running in a minimal shoe allows for better utilization of this system. So, the take away message is that shoes change natural mechanics to one that creates mechanical changes that are not optimal for running fast (decreased stride frequency, increased ground contact, decreased stiffness of the system, decreased elastic contribution, and on and on). In conclusion, I’m not some fanatic saying everyone ditch shoes now. Chances are you’ve been running in shoes for 20+ years. Your bodies done some adapting during that time. You’ve got to gradually change if you want to undue some of the changes. The body is more complicated and smarter than we give it credit. If you found this article to be informative, I’d appreciate it If you passed it along. The goal is to get research based data out there so people can be well informed. Did you know that in America, 73% of us report having foot pain or problems? Contrast this with only 3% of people in countries where they only wear sandals or don’t wear shoes at all! Unfortunately, our “fashionable” shoes are wreaking havoc on our feet, and surprise, it’s even worse for pregnant women. Pregnant women tend to complain of even more foot pain, due to the excess load their feet have to bare, the swelling that naturally occurs, and the sensitivity in the feet that comes along. Start a foot strengthening routine early in your pregnancy so your feet can handle the excess load they will be called to bare later. Practice standing on one foot with your eyes closed, pull a towel in with your toes while you’re watching TV or reading a book, etc. Try buying your socks a size larger to make your feet more comfortable when they swell. Also note that many women’s feet grow as well, so you may need to buy bigger shoes also. Use thicker socks to help out with the extra sensitivity on the bottom of your feet. Many women comment that normally wear very lightweight or low profile shoes note that they experience less discomfort in a more cushioned athletic shoe than they would normally wear due to the extra weight & sensitivity that they experience. Avoid wearing shoes with heels of any size, as they put extra pressure on your forefoot and leave you more susceptible to rolling an ankle. Avoid wearing shoes with tapered toe boxes. Hint: Put your foot down next to your shoe—if your shoe is more pointy than your foot then don’t wear it. Consider buying shoes that are more shaped like feet as these will let your feet take on their natural form and help to accommodate swelling, excess weight, and sensitivity better. Stay active and exercise to increase blood flow. Take breaks from sitting more often. Since your growing uterus puts pressure on your veins, and slows blood to the heart, causing swelling—try lying on your back with your feet elevated for 10-15 minutes. “Lie on your left side since that will get the baby off your vena cava. That’s that largest vein in your body pulling blood from all parts of your body (and reducing swelling) and it is on the RIGHT side of your spine, just behind the uterus. Putting your feet up. I always tell my patients that gravity is your enemy and your friend. Enemy when your feet are down and your friend when they’re up! Use knee or thigh-high compression stockings if you aren’t able to put your feet up. Although many women have major problems with their feet during and after pregnancy, nearly all of them are preventable. With the proper care & preparation, most women can go through pregnancy without any significant foot pain or problems. My wife is nearly 7 months pregnant and she has been free of foot pain thus far. She strengthened her feet prior to pregnancy, and doesn’t wear shoes that have tapered toe boxes or heels of any height. She has tried to stay active with running, Yoga, Tennis, core workouts, and more. As she has gained weight, she has started to wear more cushioned running & athletic shoes, and she is wearing looser socks than she wore in the past. Show your feet a little love and treat them right, and they’ll treat you right, even during a long, hard pregnancy! Golden Harper graduated with a degree in Exercise Science with an emphasis in Fitness & Wellness. 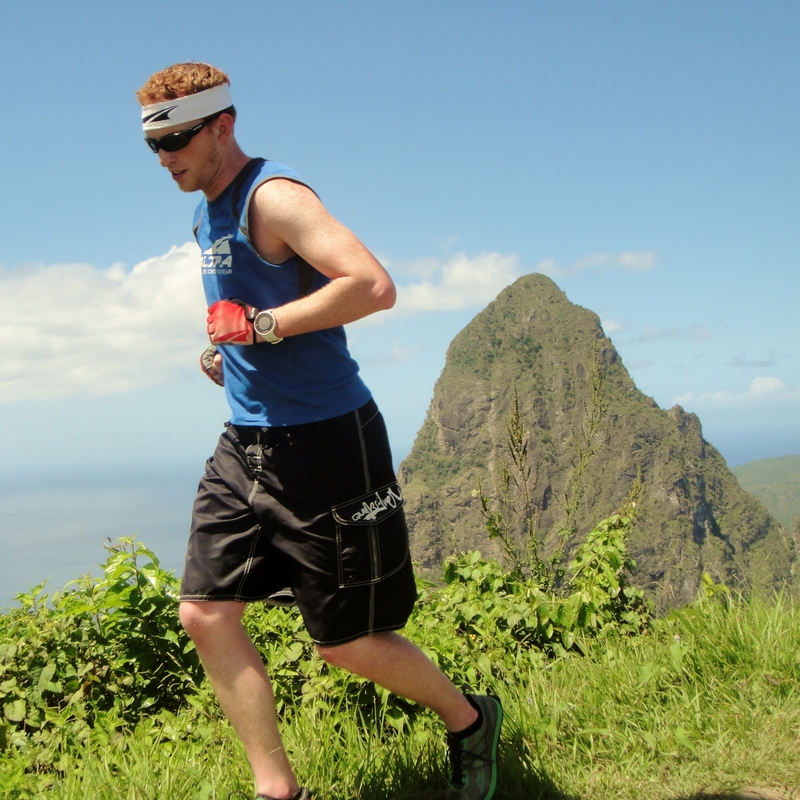 He did his collegiate studies on running technique & running injuries & has studied feet & foot problems extensively. He grew up working in his family’s running store and holds a world-best for a 12-year old in the marathon at 2:45:34. Dan Hoopes MD is a fellowship-trained Orthopedic Foot and Ankle Surgeon who has done extensive research and a special interest in runners and how they can get (and stay) healthy. See his bio here. Here’s the lacing technique that we started doing at our running store to help fix our customers foot problems. This in combination with Hawk selling shoes “too big” to people with foot problems was the first way we proved out a need for shoes to actually be shaped like feet. The Best Running Shoe Lacing Technique ever? In fact, only 3% of people in non-shoe wearing populations have any kind of foot malady. Contrast that with the 73% of Americans who take the time to report foot pain! (2010 APMA Survey). In my opinion as someone who has studied this stuff my whole life, our modern footwear is almost the sole source of our foot problems. Are bunions causes by over-pronation? Not really. Unless of course that is caused by a shoe with a tapered toe box (bunion creator) or an elevated heel which causes the foot to roll in in the first place. Supposed “over-pronation” has never been significantly linked to any injury. Are bunions caused by tight fitting shoes? Absolutely! They’re also caused by supposed well fitting shoes that aren’t shaped like feet (i.e. 99% of all shoes).Most people have never even thought about it, but almost all shoes are shaped more like pizza slices or torpedoes than they are healthy human feet! Are bunions caused by high heels? Yes. But they’re also caused by low heels. A heel of any height causes your big toe to move inward, which pushes the bunion out. Do your feet and bunions a favor—get a pair of shoes that are actually shaped like your feet and that have no heel elevation. Altra, Lems Shoes, & VivoBarefoot all make great shoes for this! Hoffman, P. 1905. Conclusions drawn from a comparative study of the feet of barefooted and shoe-wearing peoples. The Journal of Bone and Joint Surgery, 3, 105-136. Lam Sim-Fook and Hodgson, A. R. 1958. A comparison of foot forms among the non-shoe and shoe-wearing Chinese Population. 7. Bone 7t Surg., 40A, 1058. Shine, I. B. 1965. Incidence of hallux valgus in a partially shoe-wearing community. British Medical Journal, 1, 1648-1650. Kato, T. and Watanabe, S. 1981. The etiology of hallux valgus in Japan. Clinical Orthopedics and Related Research, 157, 78-81. Golden started running as soon as he left crawling and has never looked back. Between the ages of 10 and 14, Golden ran 5 marathons, debuting with a State Record 3:08 performance. He followed that up with a 2:57 performance that was good for a National Best for age 11. 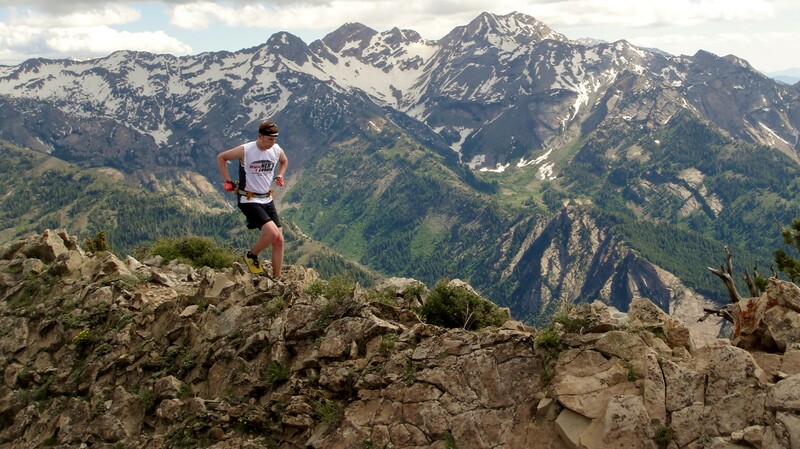 At age12, he ran the St. George Marathon in 2:45:34, setting a world best. He went on to win two Cross Country State Championships. He beat Ryan Hall to make it to the Foot Locker Cross Country National Championships & broke the previous National Record for the 5k in Cross Country that day, but was beaten by the likes of Dathan Ritzenhein, Matt Tegenkamp, Ian Dobson, Josh Rohatinsky, and Alan Webb. His Senior year of college, Golden came close to going undefeated at collegiate distance Cross Country races. 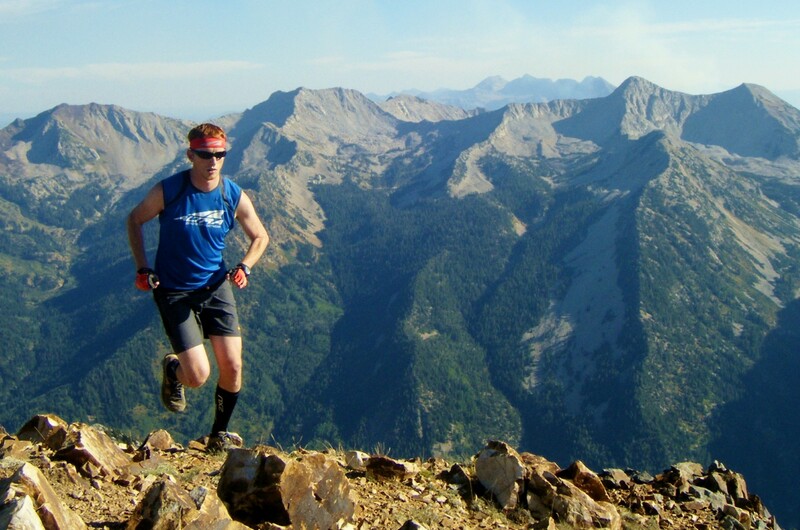 Golden has always been an avid mountain runner, and has recorded top finishes in many mountain races in the Rockies, including winning his debut 50 mile race by nearly an hour against a competitive field of sponsored athletes. With the knowledge of proper biomechanics and a passion for reducing running injuries, he developed the first cushioned Zero Drop™ running shoes after appeals to major shoe companies fell on deaf ears. 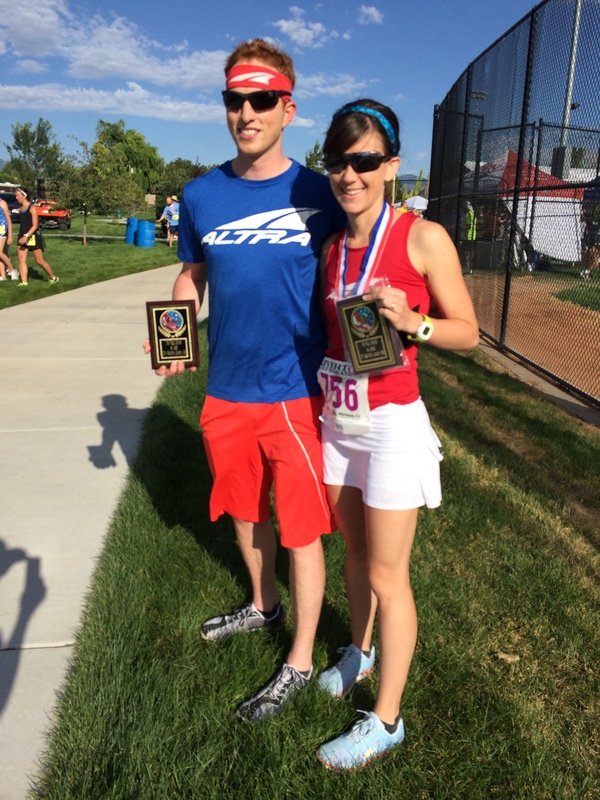 Golden’s running experience and commitment to helping people run better were a driving force in the creation of Altra. o Despite both coming from non-athletic backgrounds & starting to run later in life, Golden’s parents have both achieved the highest levels of running. o His father Hawk has finished over 70 marathons, winning several, and posting a personal best of 2:22. He also holds a state record for the Double Marathon. o His mother Cheryl held the State Record in the Marathon for 20 years and went to the Olympic Trials 4 times. She also set a National Best by running a 24:39 8k. o Golden’s family has won nearly 20 state titles. His three Sisters Amber, Krystal, and Summer have all won State Championships in Cross Country. Krystal and Summer have both won National Championships for USAT&F Cross Country.